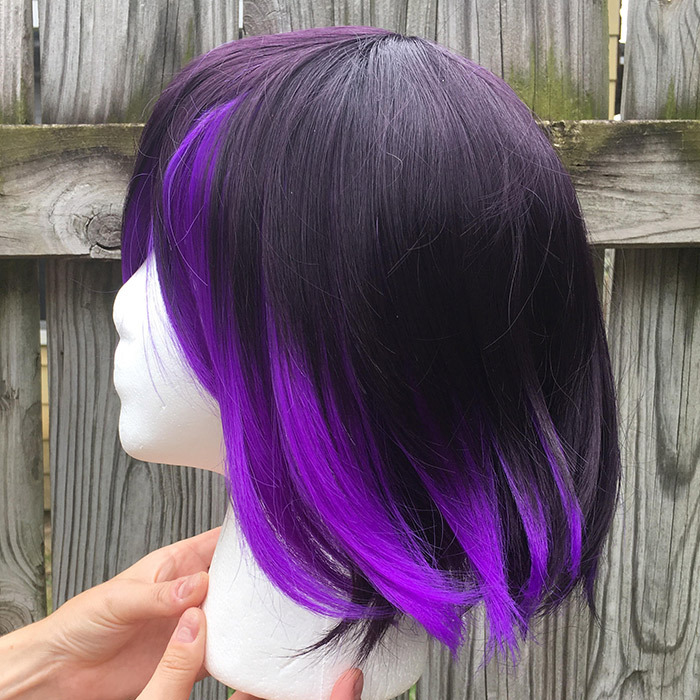 This two tone bright and very dark purple wig is going places. It has ambition and natural charisma, and is also heat stylable. With enough hairspray, it can achieve epic flips and just possibly take over the world. We enjoy this unexpectedly soft wig and we think you will too! This wig has been reviewed by @wobyl! Looks exactly like the picture and I almost cried because it’s the softest wig I’ve ever felt. Doesn’t knot very easily and very fun to mess with. 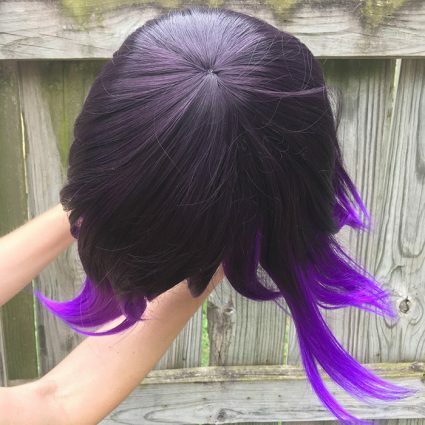 this is such a perfect wig!! it shipped quickly and arrived super fast! 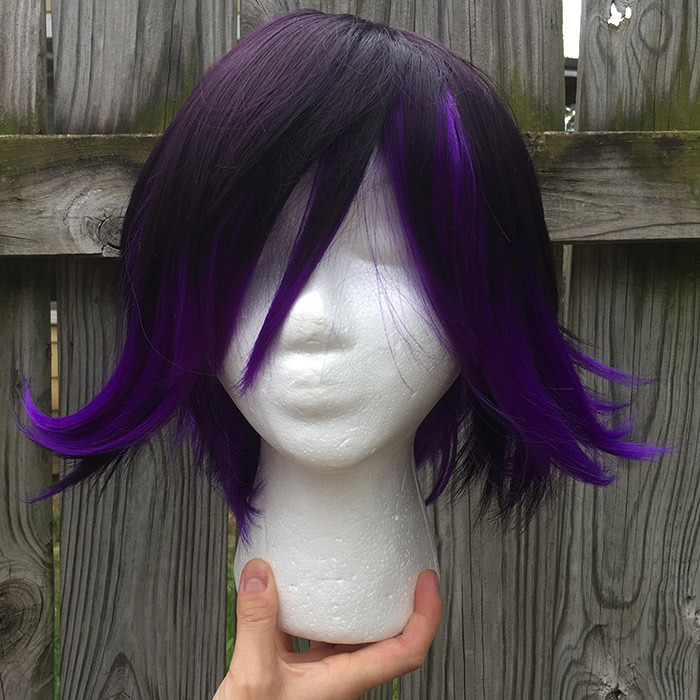 it’s so soft and silky, the colors are super accurate to kokichi ouma! it also fits snug and comfy!!! 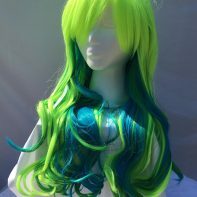 this was my first order from here and id totally purchase from them again! 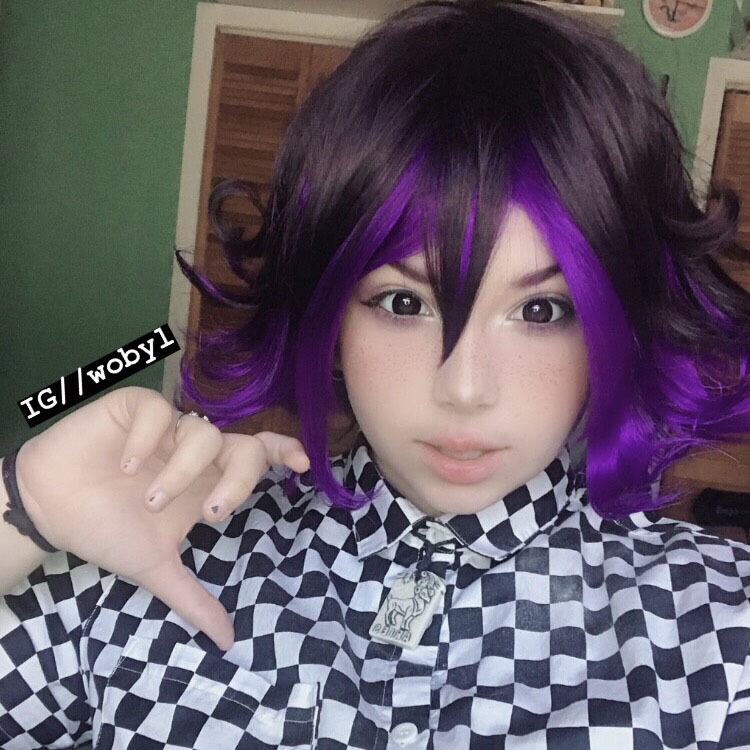 i’m so happy with this wig, thank you so much!! 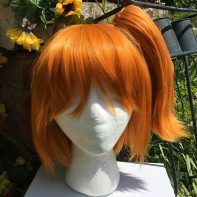 This was another wig that I first got here along with the shuichi one, and I love love love it! 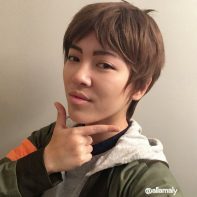 Its beautiful, and even my family (who does not cosplay,) says it looked beautiful! Its also very flippy withoit styling,which is perfect for Kokichi! Thank you!! 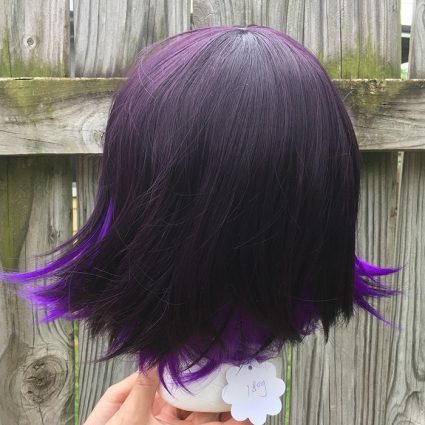 I finally wore this wig to a con this weekend and recieved so many compliments! 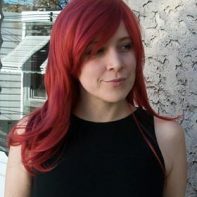 The two tone look is gorgeous, and it was very easy to style. It certainly was “unexpectedly soft” and silky, but it held the flippy style really well! Perfect for Kokichi Ouma!